Currently working on some notebooks with more vibrant colors. These fine notebooks are produced by Scout Books in Portland, Oregon. They are easily customizable on the press. If you're interested in a custom notebook for yourself or as a gift, please contact me. 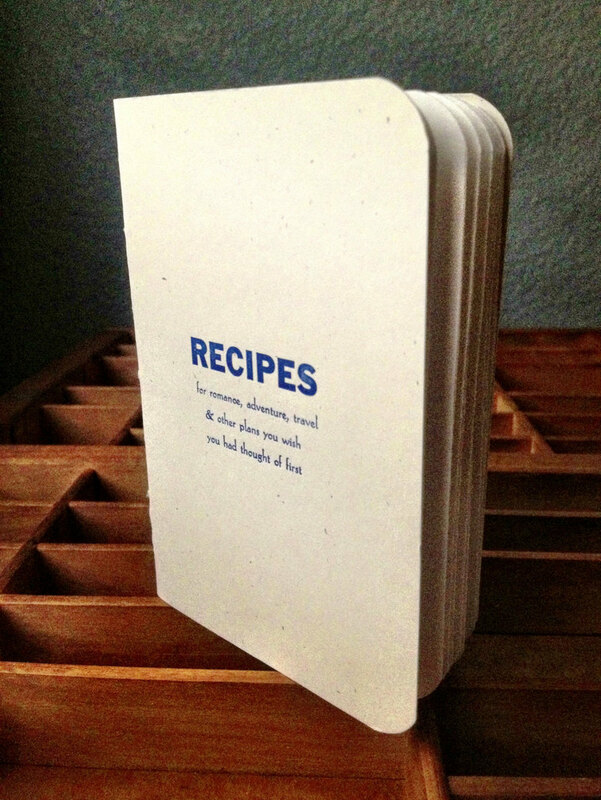 Keep track of your recipes for romance, adventure, travel & other spectacular outcomes. Share them with friends later. They'll be envious. They'll wish they could be so clever. Now available on the Etsy shop. 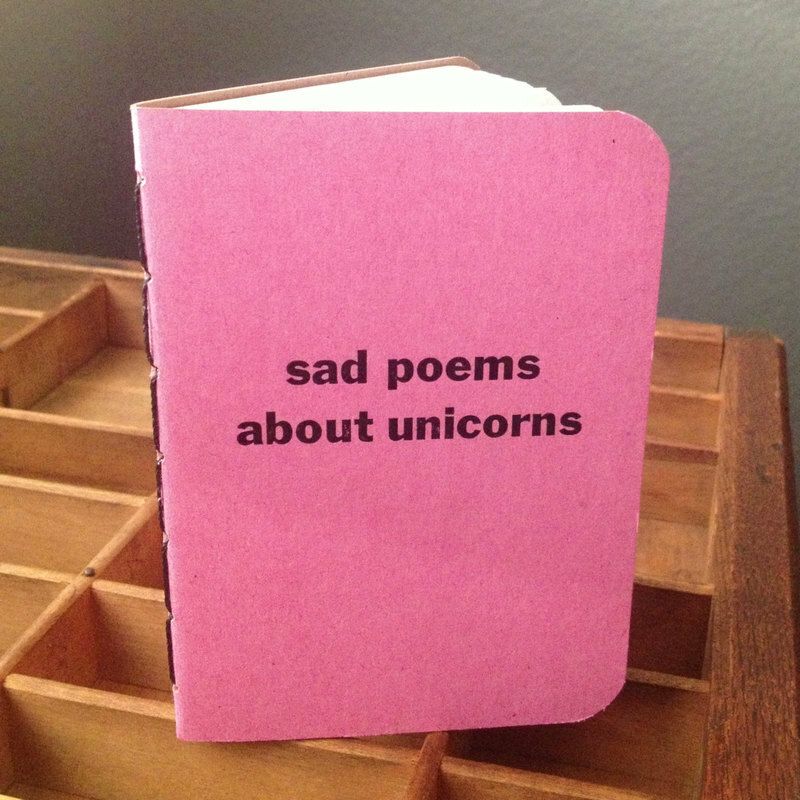 A blank, DIY notebook for all your sad poems. Not a poet? That's okay, Cupcake. You could fill this blank notebook with other things. But remember, the only difference between poetry and prose with carriage returns is how much someone buys into your BS. NOTE: because this was a limited print run, it has temporarily sold out on the Etsy shop. However, more will be available in the coming weeks. There are a lot of pocket notebooks on the market. Some simple. Some durable. But, few notebooks are durable and tough like these. 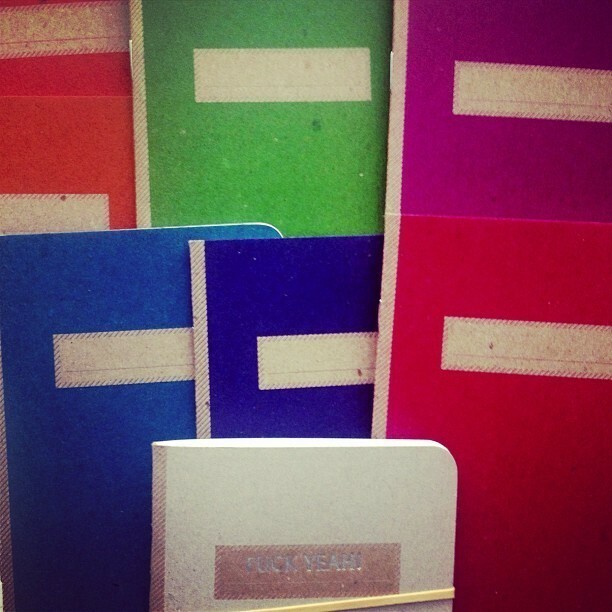 Save your fancy, imported notebooks for your flowery thoughts. 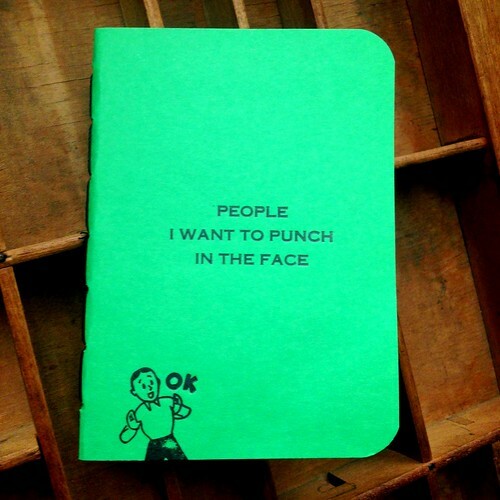 This notebook is straight to the point. These notebooks are produced in small print runs, and often sell out quickly on my Etsy shop. If you are interested in purchasing one or several, please contact me. You know you have them. Why not embrace your seedier side? 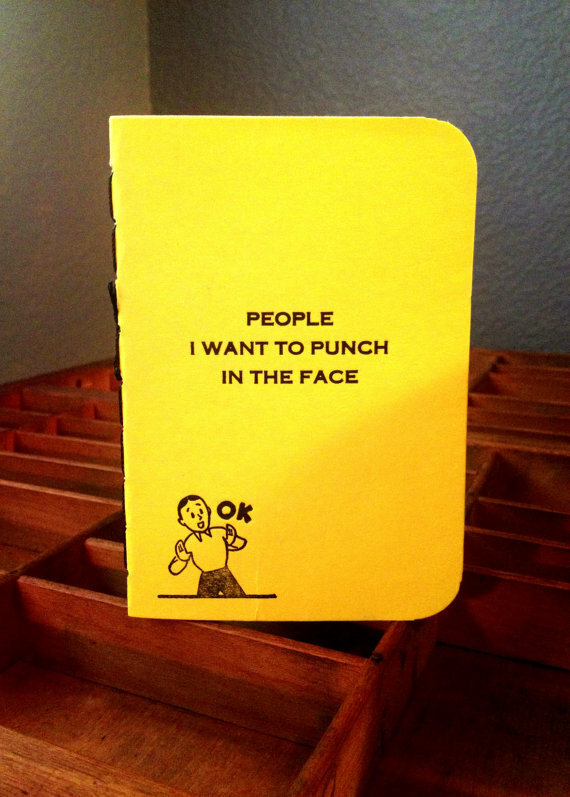 Keep track of those insane fantasies and malapropos thoughts with this handy notebook. Revisit them later. Hey, it may be good therapy. Available on my etsy shop and via bigcartel. I started making these out of frustration. I was frustrated because I had a difficult time putting a Moleskine on the press–the ink would smudge, the cover would tear, or it just looked weird. 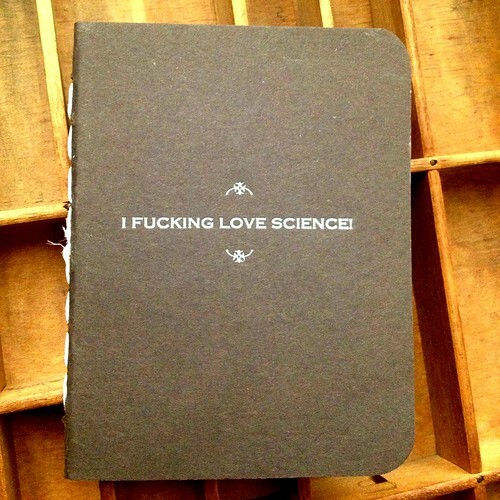 And, I was frustrated because I wanted a notebook that had a relevant title. So, I set off to make my own. I didn't go far…I went to the internets! I found some great tutorials. I studied. I practiced. After quite a few trials and errors, and a few stabbed fingers, I've finally got a durable product. Like all good Americans who think their product is unique, I've decided to sell them. Lucky you! All notebooks are hand made from heavy-duty cover stock. 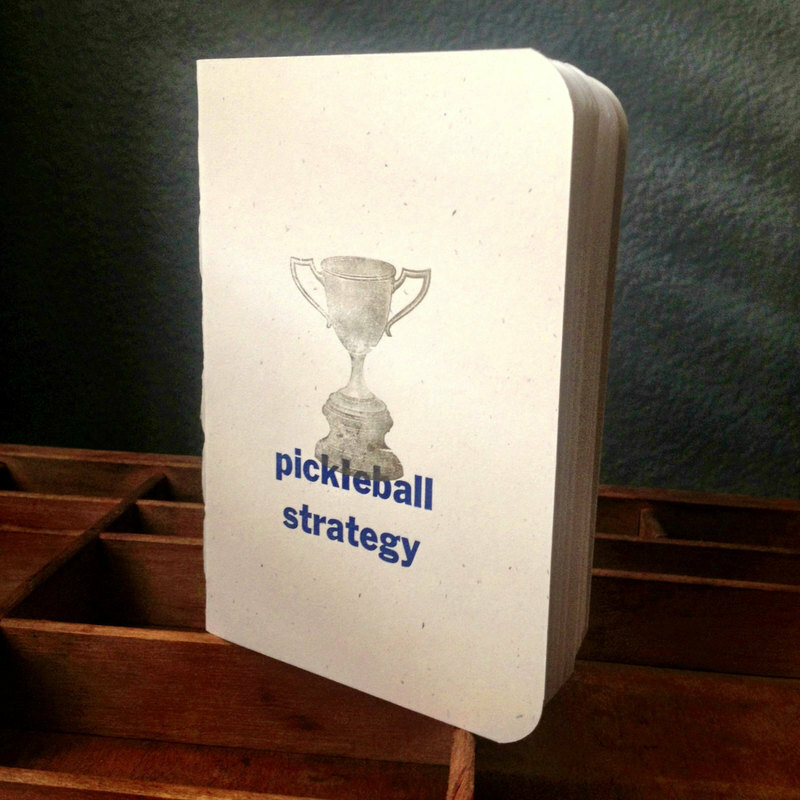 The covers are letterpressed with hand-set type and are hand-stitched. If you're interested in purchasing one of these beauties, head over to the Etsy shop. Or, contact me if you are interested in a custom notebook. Another addition to the Etsy shop this season: pocket-sized notebooks. These notebooks are hand-stitched and made to last. The covers are 120lb card stock duplexed with 65lb textured paper to give them a handsome appearance and saddle stitched with heavy-duty hemp thread. 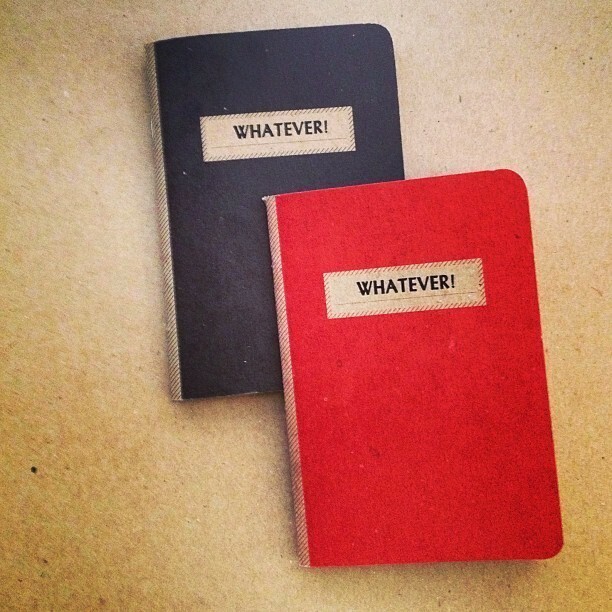 The titles of these pocket-sized notebook are self-explanatory (and, of course, snarky). You could use them for anything you see fit to print. For more examples, please see my Etsy shop.